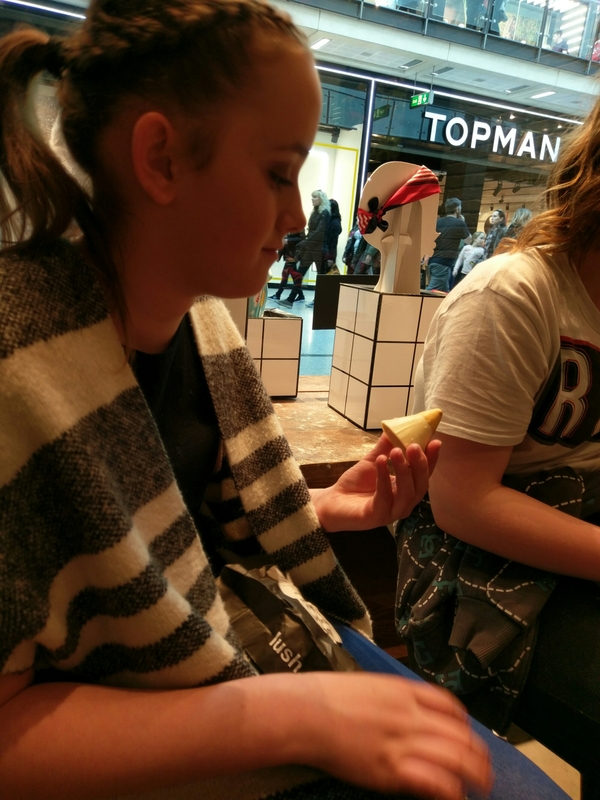 This weekend I had the pleasure of taking my daughter and two of her friends to Lush in the Manchester Arndale Center for a Happy Hour Party. We arrived at the busy store ten minutes early and were told we could browse whilst waiting for our party host. 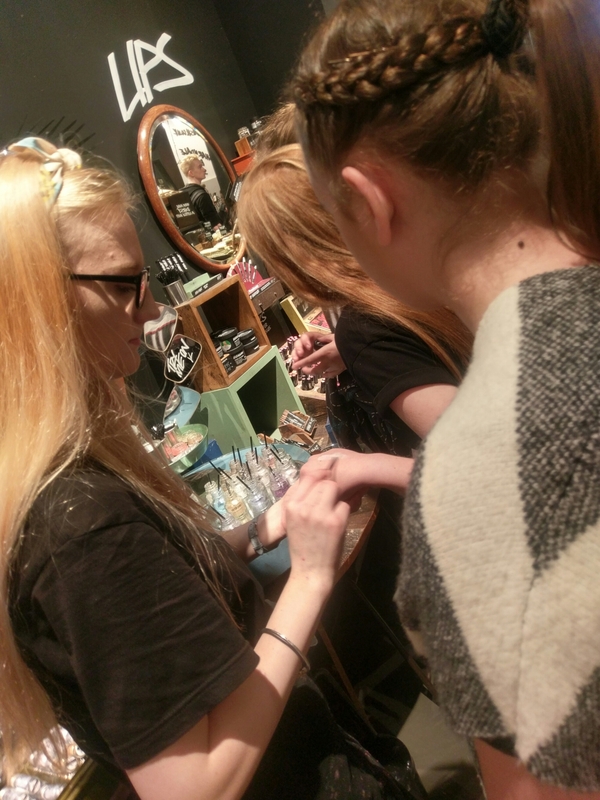 The girls were very content smelling all the different products. Our friendly party host was lovely and took any excess bags and coats to lock away for us during the party. She then showed us to some seats near the window and it was time to get stuck in! 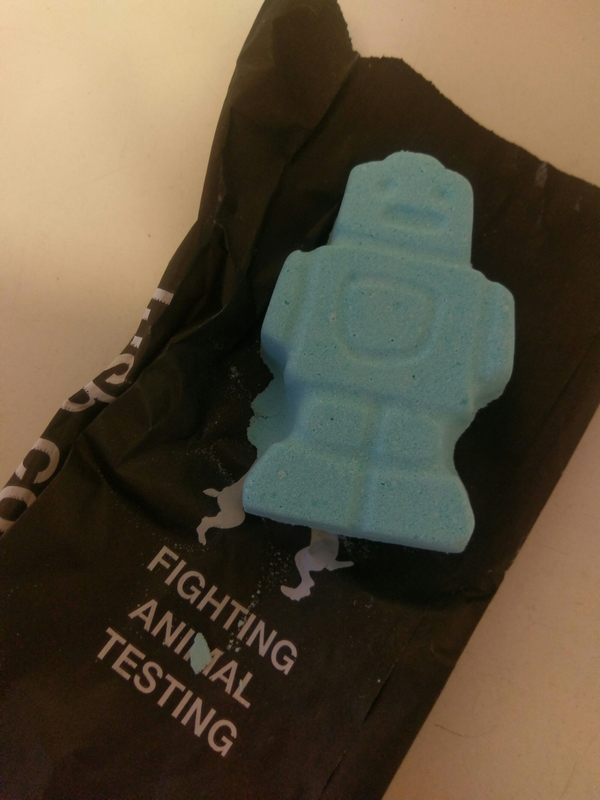 The first activity was baby bot bath bomb making. 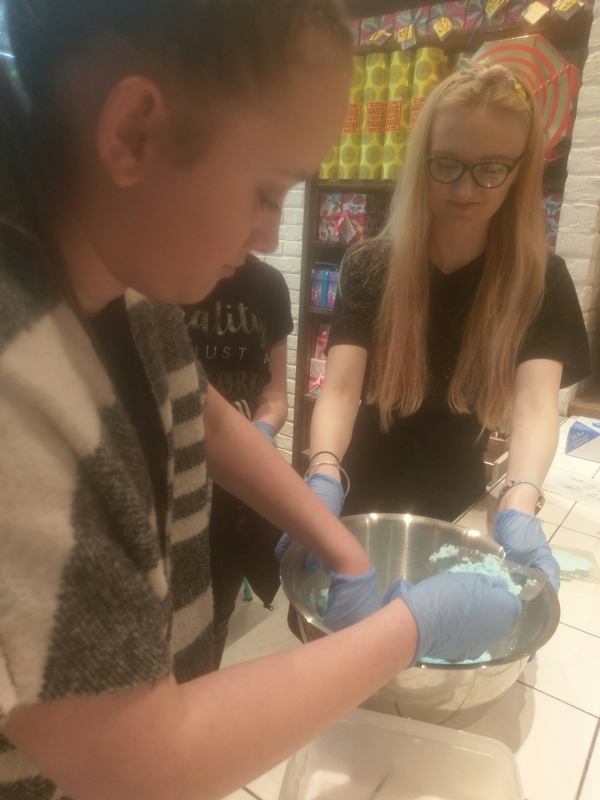 The party host explained what the ingredients were and how the bath bombs are made in the lush factory and then allowed the girls to take turns mixing the ingredients and pressing them into the moulds. 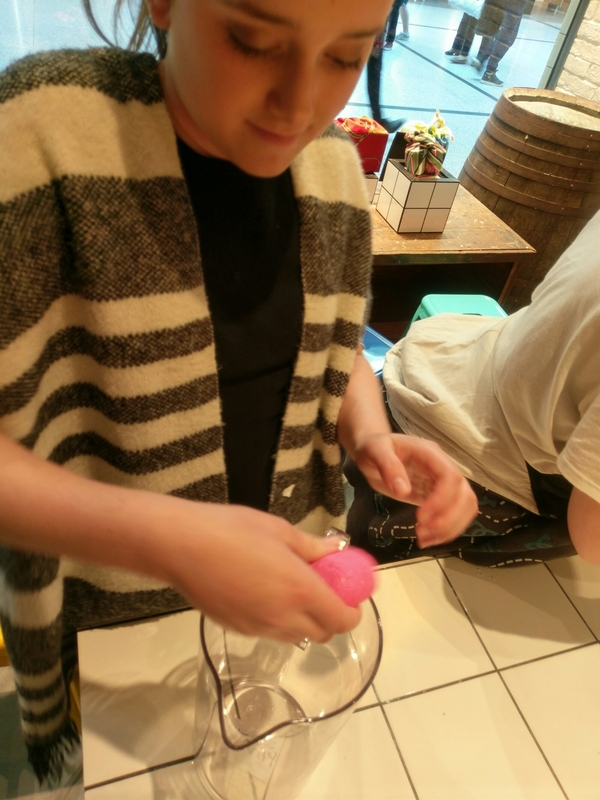 When they were finished, the freshly made baby bot bath bombs were left to dry while the girls did their second activity which was face masks. They were given a choice between putting the masks on their hands or faces and introduced to four colourful masks to try. 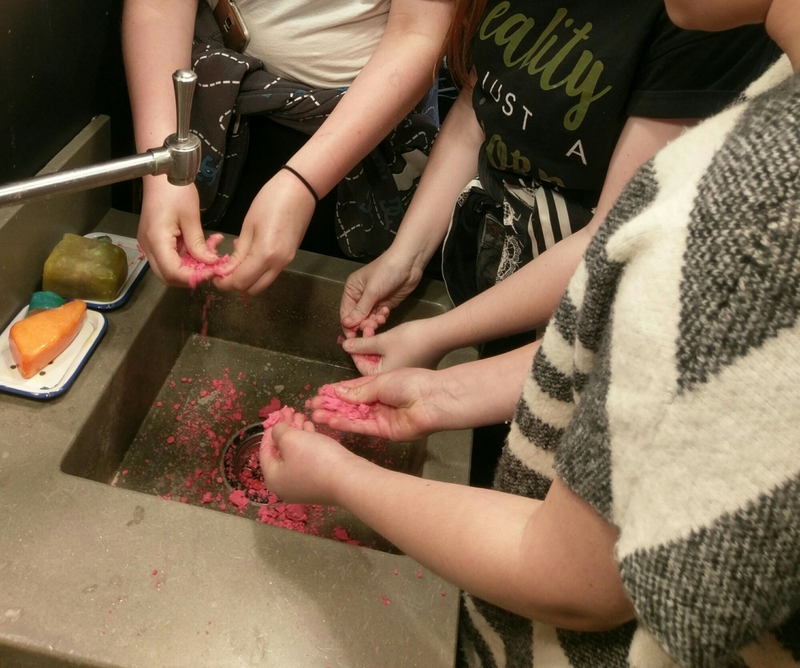 Following the face masks the girls were led to a sink and shown how to crumble some products and add water to make bubbles. 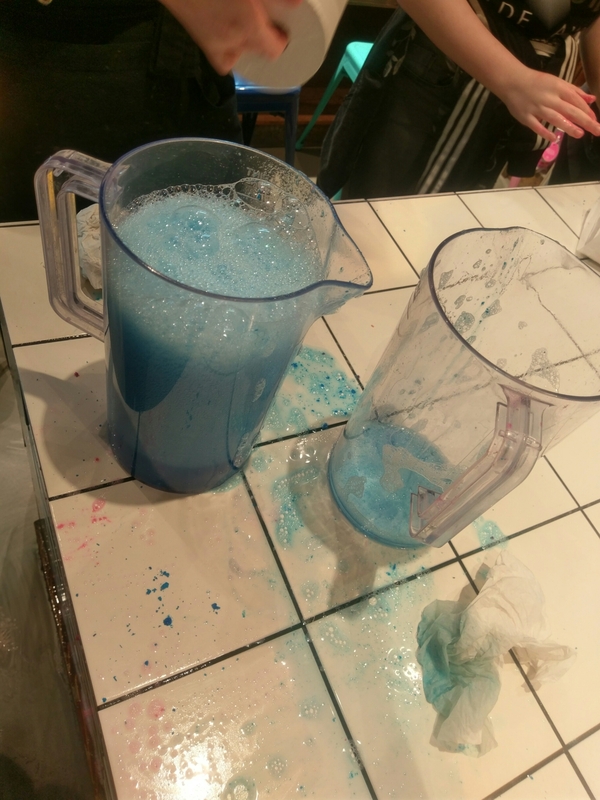 They were then given jugs and some water and had to race to fill the jugs with bubbles whilst making quite a lot of mess! For their last activity there was a choice between makeup and massages. 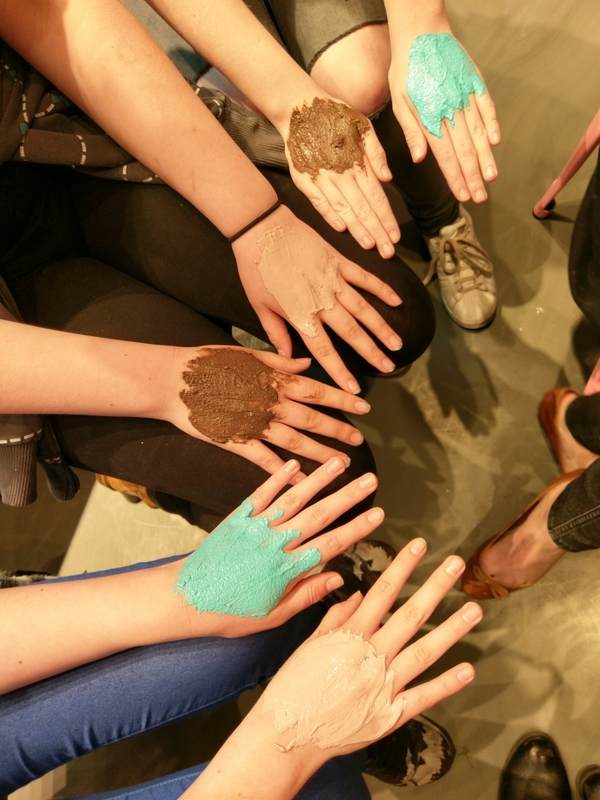 They chose massages and were given some melting oily bars to rub into their hands and arms. 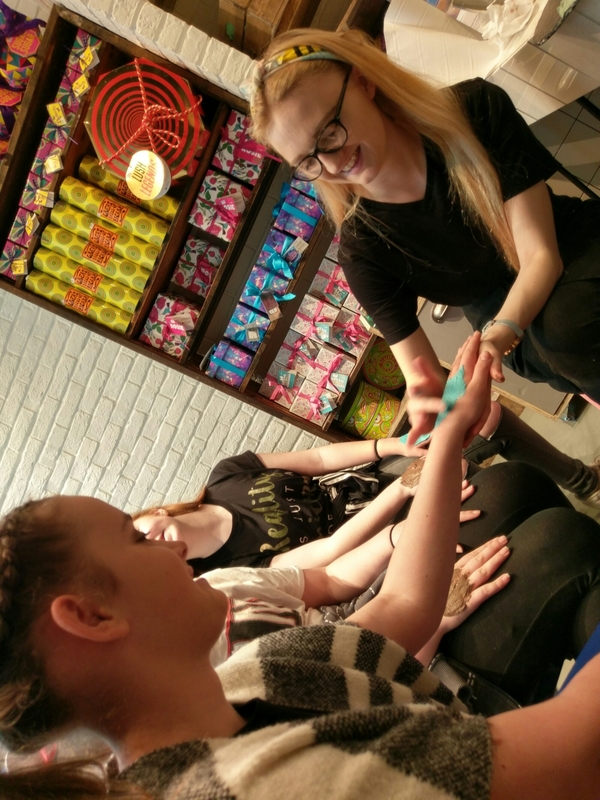 During the remainder of the hour, the girls were taken around the shop and shown the products that they could buy with their gift vouchers. The general consensus from the girls was that the party was enjoyable. 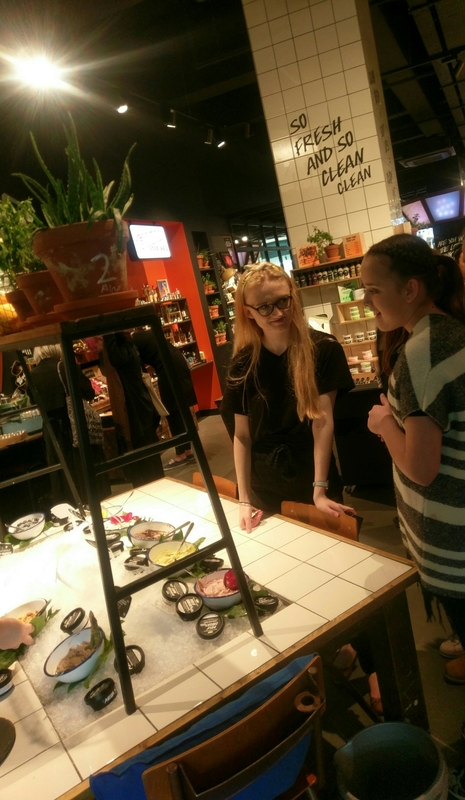 The staff in Lush were lovely with them and an hour filled with bath bombs, smelly cosmetics, hair products and make-up went down very well with three thirteen year old girls! Lush Happy Hour Party with an autistic child? 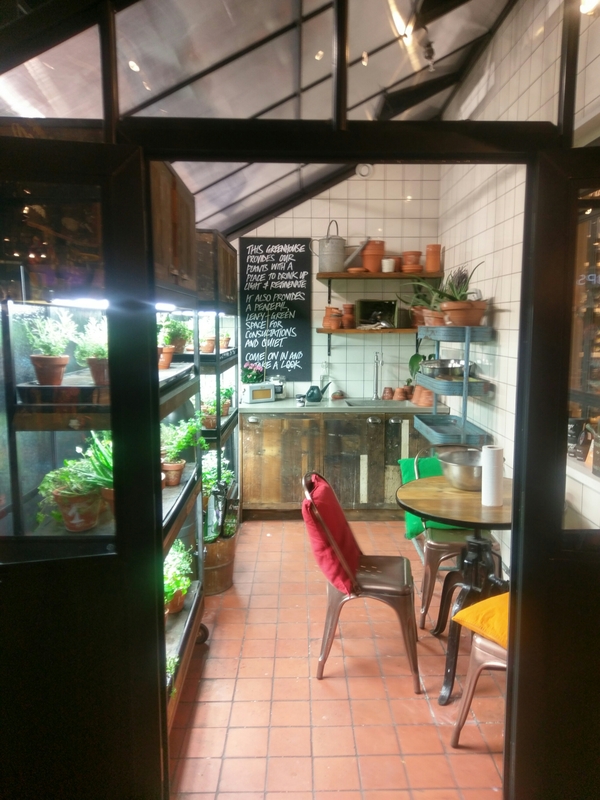 I chose not to take my autistic child to this activity as he does not do well with busy shops or strong smells and Lush is a strong smelling shop. However if your child does not mind smell and could cope with the shop environment, there are a lot of possible hands on sensory activities such as making bubbles, water play, face masks and massage oils and you are allowed to stay with your child and help them. My daughter cant get enough of the shop!